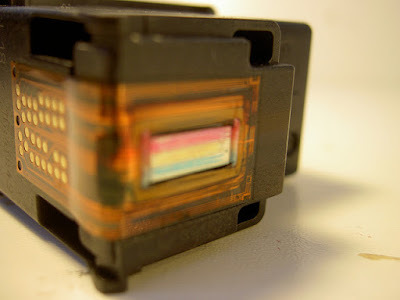 Follow the steps here for solving the red tricolor cartridges in printers. For many cases an ink cartridge color do not vote or not printing one or more colors, hardly an ink cartridge color all heads are stopped, when this happens it is best to vote the ink cartridge, almost never is possible to have all printed without any problem. If you have one plugged color, it is possible to cleaning it and be able to print with this no problem, that we need to make the process of uncovering an ink cartridge in our house. Emphasize red, do your best to get out ink by the ink nozzle located at the bottom of the ink cartridge. Repeat this procedure until you have a firm line color you need, follow the process until you consider, should not have results should vote the ink cartridge.